The “11.11 One Million Strong Against Nuclear Energy” demonstration scheduled to start at 13:00 in Hibiya Park on Sunday, November 11, has been canceled due to a rejection by the High Court of our petition for use of the park. However, the protest is still scheduled to go ahead from 15:00 at our standard protest areas. As such, we would appreciate it if people instead went directly to these respective protest areas. For details, please see http://coalitionagainstnukes.jp/. 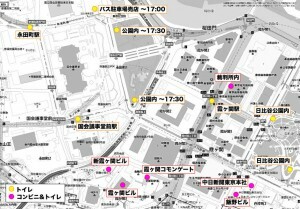 Additionally, an assembly will be held from 17:00~19:00 in front of the main gate of the parliament building. We welcome your attendance here too. 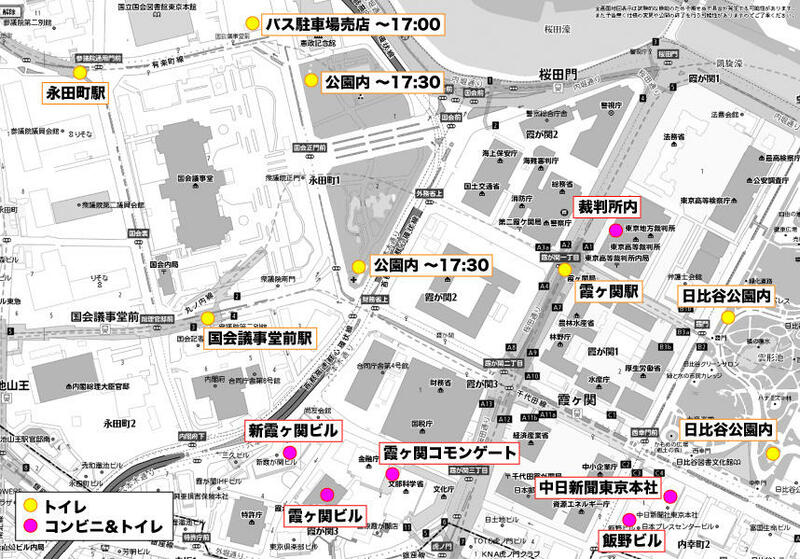 [Urgent] This Sunday, November 11, we are seeking to get a massive number of people to protest against nuclear energy in the Nagata-cho & Kasumigaseki area, which includes the Prime Minister’s residence and the Houses of Parliament. 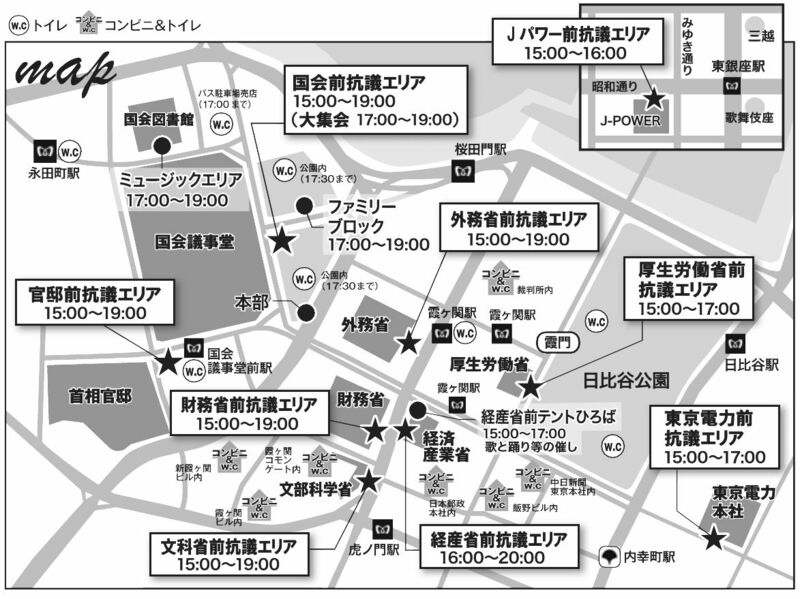 Our aim is to get people from all over Japan to join us in voicing our opposition. Nuclear Power Plant’s No. 3 & 4 reactors. The government has chosen to ignore the fact that over 90% of public opinions gathered call for “zero nuclear energy.” In fact, the government acquiesced to demands from the Japanese business community and the United States to defer formulation of a national energy strategy that includes a retreat from nuclear energy. Additionally, the government modified its stance of removing pro-nuclear staff from the to-be-renewed nuclear regulatory commission and its bureau, instead assigning the pro-nuclear Shunichi Tanaka and others to its seats. Such actions make a mockery of laws and principles, and will only prolong nuclear business and put the possibility of future abolition of nuclear power in doubt. Japan is thus heading down a road to continued nuclear power in spite of the ongoing Fukushima disaster and the lack of compensation made to date. Nonetheless, do not forget that we the people have the power and opportunity to change the world. The fact that we spoke out and did not remain silent on the nuclear issue enabled us to achieve various goals, such as the 56 days of no nuclear power that began on May 5th, the meeting with Prime Minister Noda and the “Nuclear Phase Out” declaration formulated by the government (even if it was only temporary). The demonstrations held throughout Japan since March 11, the weekly protests in front of the Prime Minister’s residence and in some 100 or more other places nationwide, the public hearings, the petitions and all other civic actions have undoubtedly had an impact on the government. 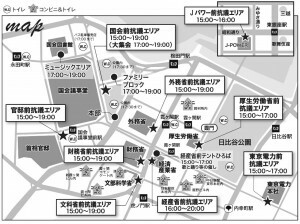 On Sunday, November 11, we, the Metropolitan Coalition Against Nukes, are calling for a gathering unprecedented in size in the Nagata-cho and Kasumigaseki area, which includes the Prime Minister’s residence and the Houses of Parliament. Together, let’s make our voices heard and steer the government toward a zero nuclear energy policy, with no reactor restarts and a commitment to abolish all nuclear plants immediately. This action is not solely reserved for residents of the Tokyo Metropolitan area. We are calling for people from all over Japan to join us in making a stand against nuclear power.